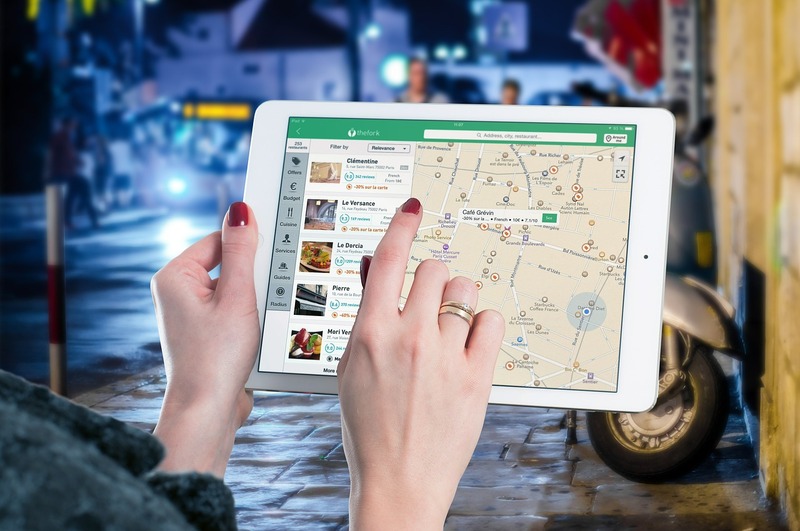 What Is A GPS-Guided Travel Articles And Why Use It? In this day and age, when travelling on holiday or planning trips we hardly ever take heavy books of guide and maps with us anymore. Why? We have it all on the internet. That’s what makes GPS guided travel articles so great. However, when on holiday, most people will not activate their roaming, and have to rely on wireless connections at the hotel, sightseeing locations and in restaurants. Bookmarking articles and websites on your phone or iPad is great, but what happens when you have no access to the internet? I can’t count how many times in the past I have gone into a cafe to grab a coffee while on holiday just so I could access the internet in order to find directions from Point A to B. Well guess what? There is an easy stress free way to see all the sites you want to in a particular city without ever needing an internet connection. 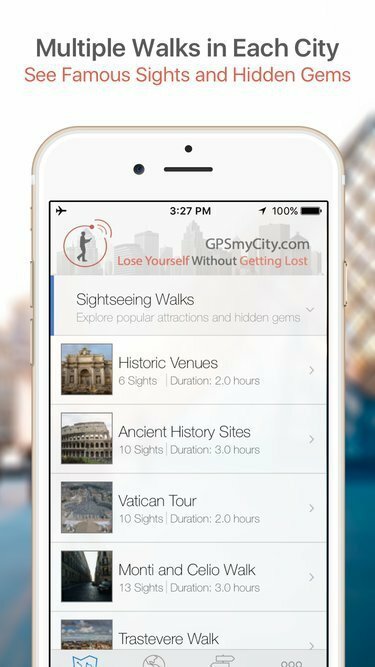 In case you missed my initial article about this back in September, let me introduce you to GPSmyCity which is filled with a plethora of gps guided articles! It is an awesome and reliant personal walking tour guide. I am excited that my travel articles have been turned into an app that can help others navigate their favourite cities with tips, suggestions, and insider advice I can give. 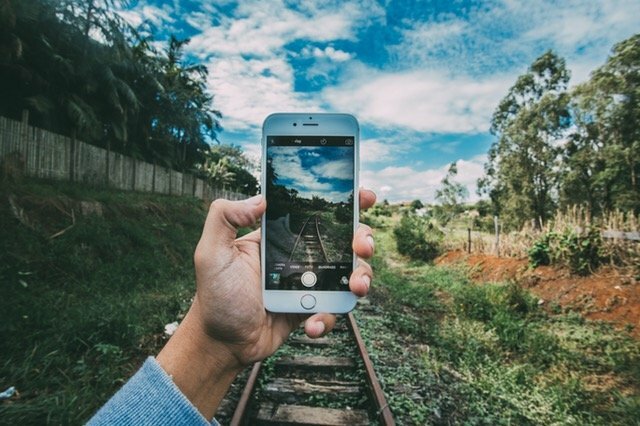 What Are The Benefits Of Travel Article Apps? -Use of the maps and articles are available offline. -You can read the articles on the go – for example on the plane, or while walking around exploring your city of choice. -You can create your own detailed travel plan. -Mark your favourite points of interest. -The “Find Me” tool will alert you if you are going in the wrong direction. -Articles from over 750 cities worldwide! Sound interesting? Of course, it does! Who wouldn’t want a 24- hour personal walking tour guide will assist them at every destination? 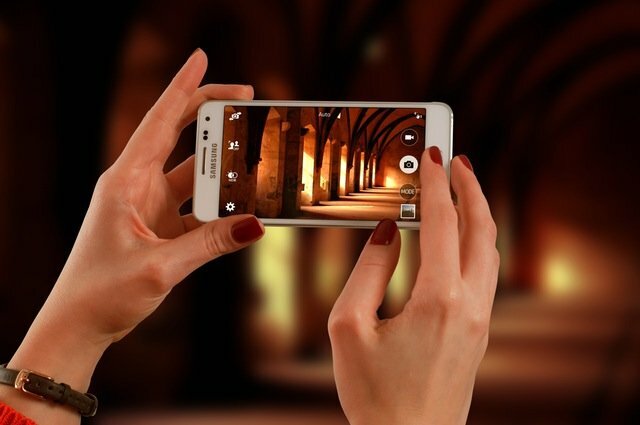 What is better than having access to information right at your fingertips? You are left with more time to really enjoy your holiday. What Happens After You Download The App? Once your download GPSmyCity to your phone, you can start using it immediately. I love exploring cities on foot, rather than taking a car or public transportation. This way, I get to see places I might have otherwise missed. You can easily find important monuments and attractions you have heard about in a specified city, as well as hotels, banks, theaters and so much more. I love to give. Not only advice but content and information that will really help you. Throughout this period, you will be able to upgrade the GPSmyCity app. Just click on one of the links below for an article you are interested in. If you haven’t already downloaded the free GPSmyCity app, you will receive a prompt to do so. After downloading the app, you will be directed to the article, where you can choose UPGRADE to get the GPS-guided version. Note: If you do upgrade one of my gps guided travel articles, I will receive a few cents which I will then put together and donate. Share this post with your friends, family and colleagues. The GPS guided travel articles will ensure a great time for you in any city you are in! Read articles written by people who have “been there, done that”. I will be adding new articles on things to see and do in Vienna, and other great cities worldwide, so stay updated. Want to share this with others? Go ahead and pin this as a reference for later, and of course, do share. Enjoy this fantastic new app and service. Let me know what you think about the possibility of using it, or if you have already used it, how did you like it? Share your experiences with me in the comments section below. Thanks for sharing, really useful tip for people who are always on the go. Oooh I’ll have to show this to my boyfriend! He was interested in developing a travel app and this almost looks like his idea! I totally agree with you. I cannot count the times when I went in a cafe or a restaurant and made an order just to ask for a wi-fi password so that I can find a piece of information about the place I was visiting at the time. Once when I traveled to Antalya (Turkey) I paid 5 euros for a glass of water in a cafe just to find a map I needed for that day. But this app sounds really great. I will try to download and install it on my phone. My next travels will include it for sure. This sounds like a great app for travellers.It is always helpful when there is an app to bookmark travel articles.The best is that this app works offline.Thanks for sharing this detailed review,so it is easy to find travel apps when we do lot of traveling.. This looks like a great App for finding wonderful places Sheri, thanks for this post. This is so perfect. Will surely check it out before my next travel. Such an amazing app for globetrotters. Great article sheri. Seems like a great app. Will check it out. That’s such fantastic news Sheri. 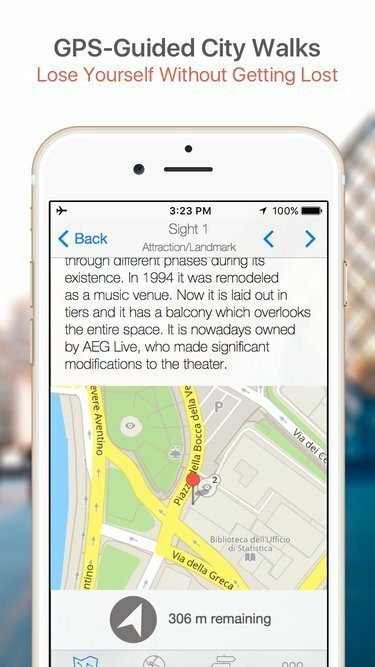 Congratulations on your article being used in city tour walk guide apps. I have often felt connectivity is a big problem during travel. Once in Kashmir we had no Internet for 7 days !.This is perfect if we plan ahead. Wow! This is excellent advise. I will use this when I travel. It looks easy to navigate also. We rely on google map . we had many funny experiences too during travels. I love this article! I learned so much new info here. Thank you sharing it. This is a great article. I need to try this when we start traveling again. Thank you for sharing this awesome ideas. I love this article! I learned so much new info here. I admit I am not too on the up and up with travel tech but you just made me feel a little more intelligent about it! Thank you for that! Looks like you’re providing real value right there! this should be an instant hit. I don’t know how people survived travelling without all these nifty apps! This is a really good one, saving money on all the expensive tours and attractions! It can also be hard to decide what to go to first, this kind of guides you to make a choice too! Very handy. It looks like a great application. I am going to check it right away! Thanks for sharing! That sounds like an amazing app! Loving the fact that you can save te articles based on the location, sounds super helpful & you’ll be able to enjoy your trip in so many new levels. I haven’t tried this yet but it seems very helpful and convenient especially when you’re traveling. This sounds like an amazing app and so, so useful for travelling. I usually use maps.me app but will check this one out too. Oh WOW this seems so helpful (I’m like you – heading to a cafe in order to use their wifi anytime I’m lost). I definitely need it.